If you are looking for PERFECTION in one of the areas most popular neighborhoods then visit 1025 28th Place today. COMPLETELY RENOVATED, with custom chef's kitchen! New ELECTRICAL, new PLUMBING, new HVAC, new ROOF, new SIDING, new WINDOWS - historic charm with modern systems & convenience! This home was perfectly curated to blend into the neighborhood but the updates inside and out give it the modern conveniences and look that you want! The space in this home is outstanding. 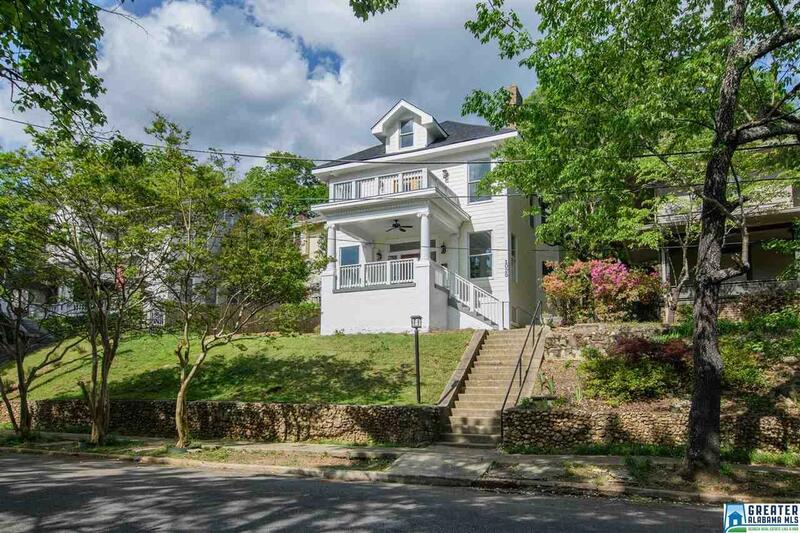 The front porch is perfect, the upstairs balcony may be one of the coolest you will find in Birmingham. Just blocks to Bottega and Highlands Bar & Grill, all the Highland Ave parks and all that downtown and Avondale have to offer. This home is in the middle of it all while sitting on a picturesque, low traffic street. Driving Directions: Hwy 280 W; University Blvd To 29th St South, Right On 10th Ct, Left On 28th Pl South, Home Will Be On The Left.